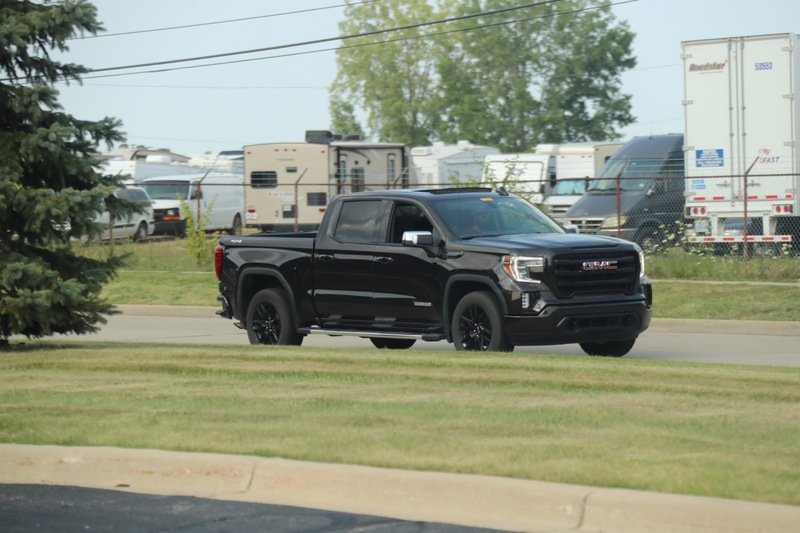 The Sierra Elevation is a model of the all-new 2019 GMC Sierra that delivers a unique appearance and features. 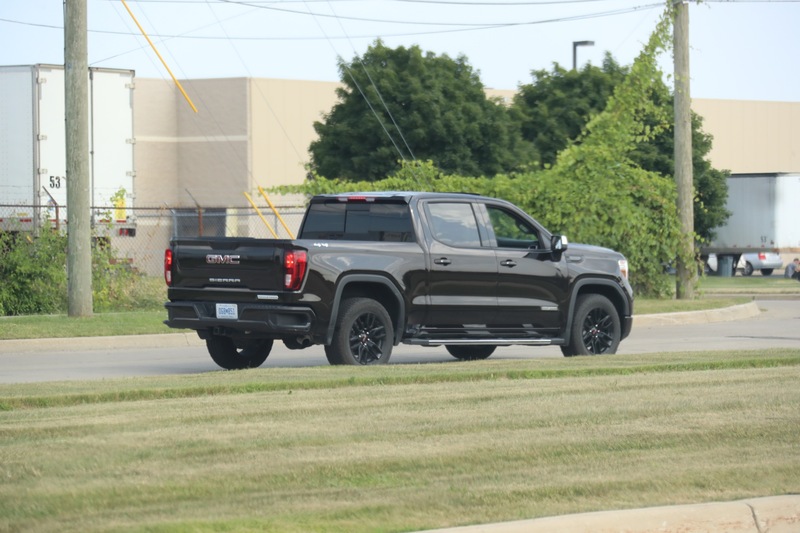 The Sierra Elevation is identified by distinct monochromatic or black styling details. 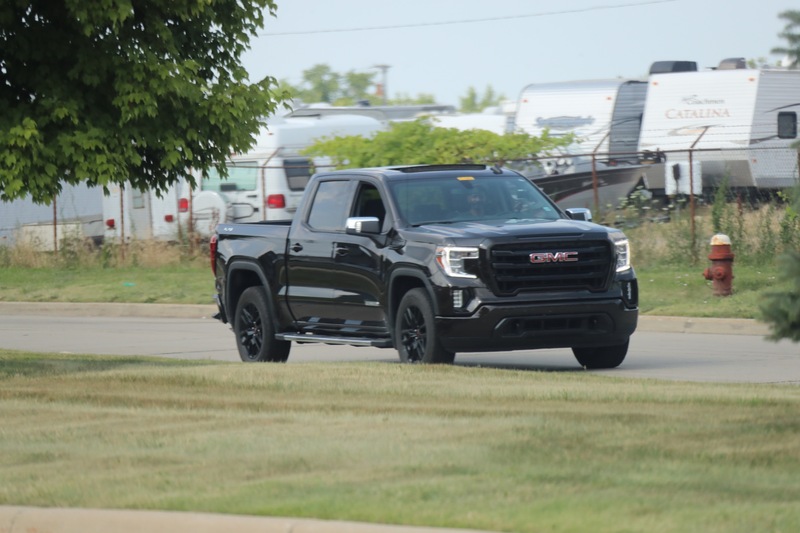 As with other modern GMC vehicles, advanced lighting technology plays a key role in the appearance of the 2019 Sierra Elevation. 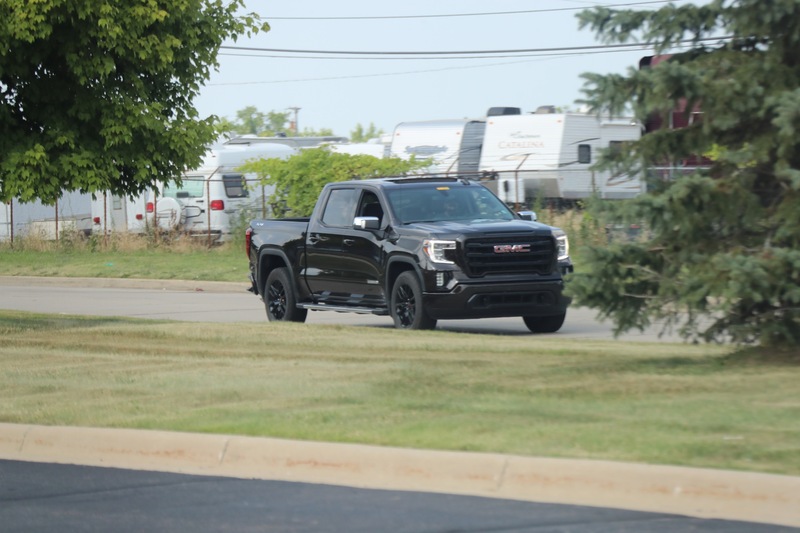 The front is defined by standard LED reflector headlamps with incandescent turn signals and LED signature Daytime Running Lamps with C-shaped “light blades”. 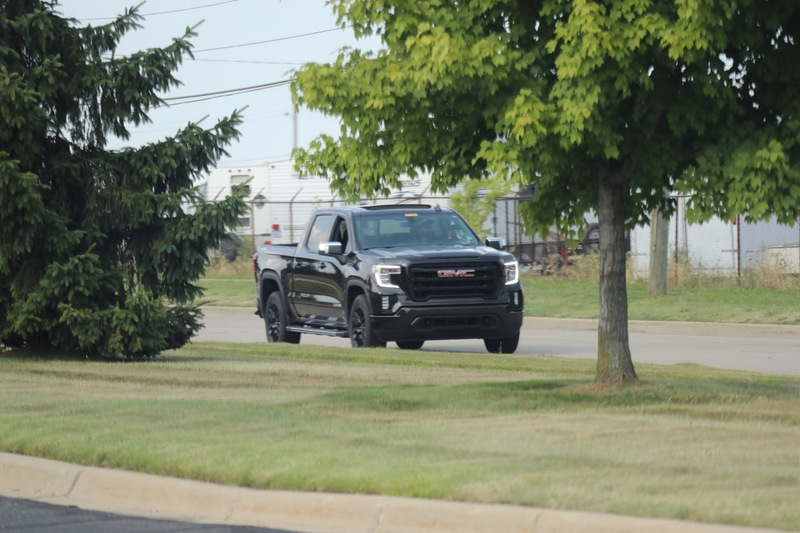 They are complemented by standard LED fog lamps. 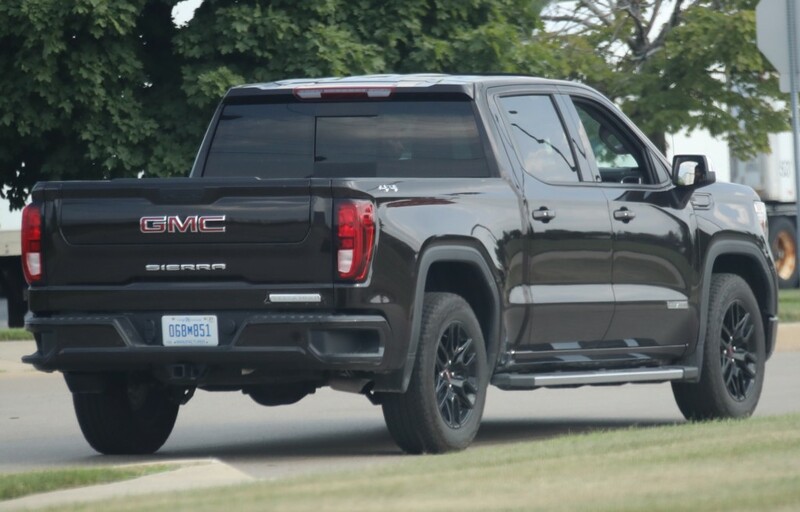 The rear features standard LED taillight and stop lights with incandescent reverse light. 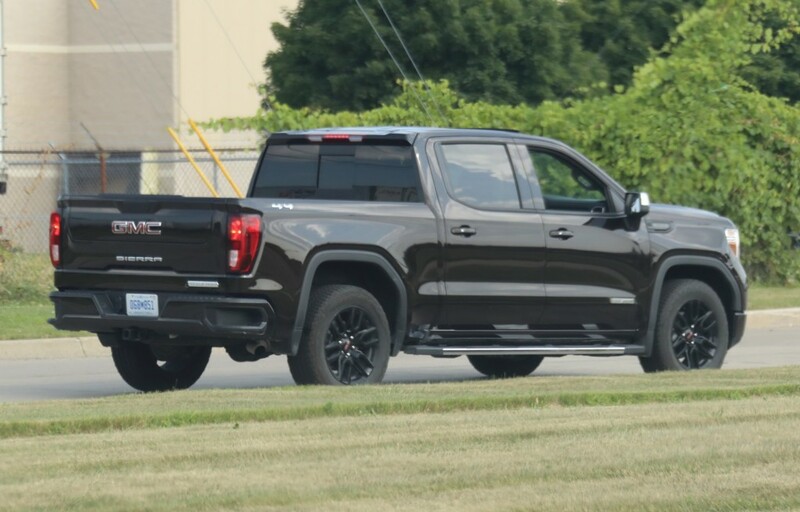 So far, GMC has only announced that the Sierra Elevation will be available in the Double Cab body style. 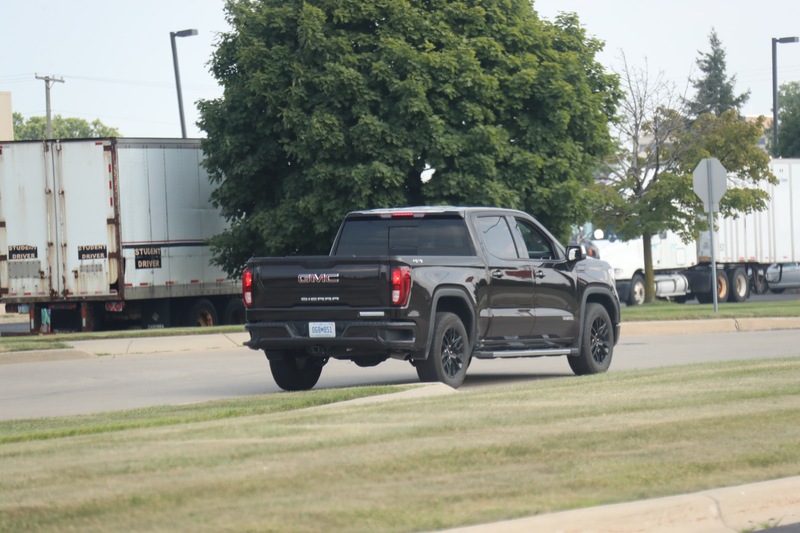 In July 2018, GM Authority came across a Sierra Elevation in the Crew Cab body style, making us wonder whether the trim will become available in the Crew Cab form factor. 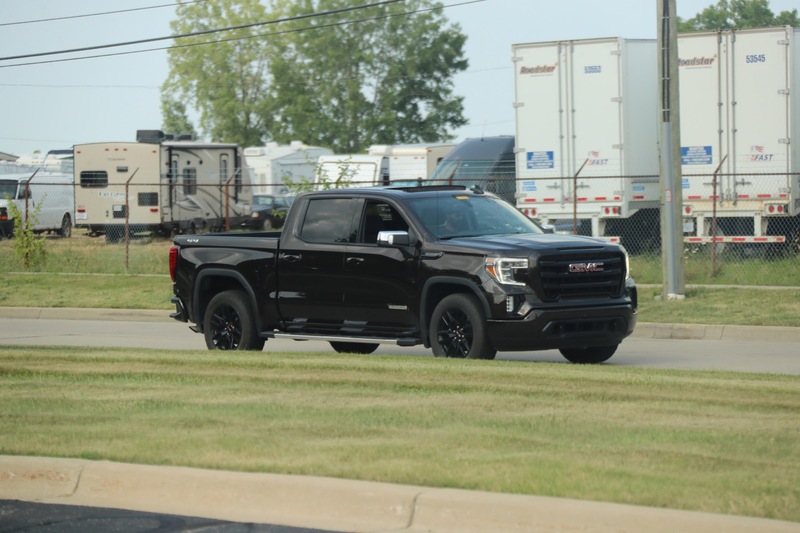 The 2019 Sierra Elevation will be offered in either two- or four-wheel-drive configurations. Using the Traction Select System, the driver can choose from preset modes designed for distinct purposes or conditions. 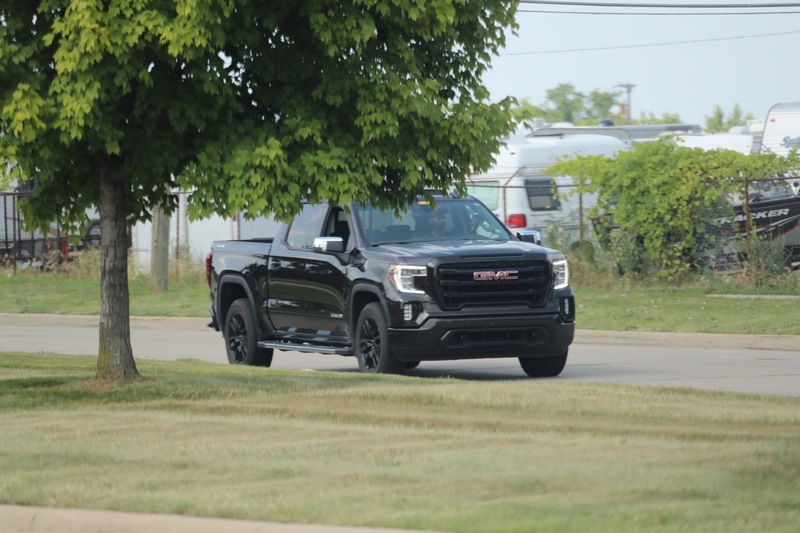 Selecting one of these modes adjusts Sierra’s transmission shift points, throttle mapping and other systems to optimize performance for the situation at hand. 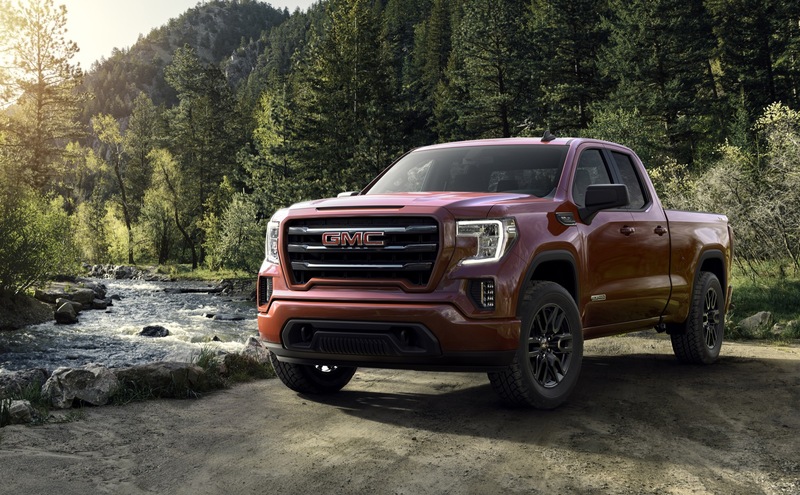 Tour mode, for instance, is ideal for everyday driving, while Terrain mode configures the Sierra for venturing off the beaten path. 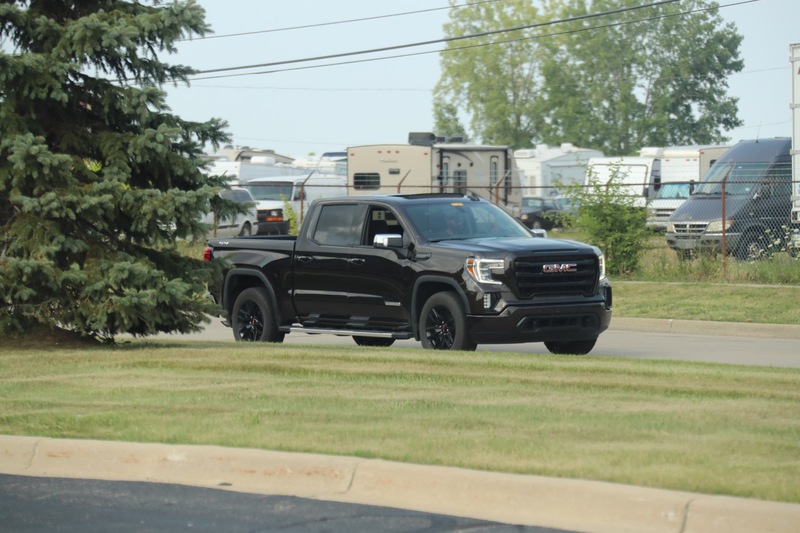 On the Sierra Elevation, selecting the ProGrade Trailering system also requires selecting the SLE Preferred Package, Max Trailering Package or Trailering Package and Trailer brake controller. 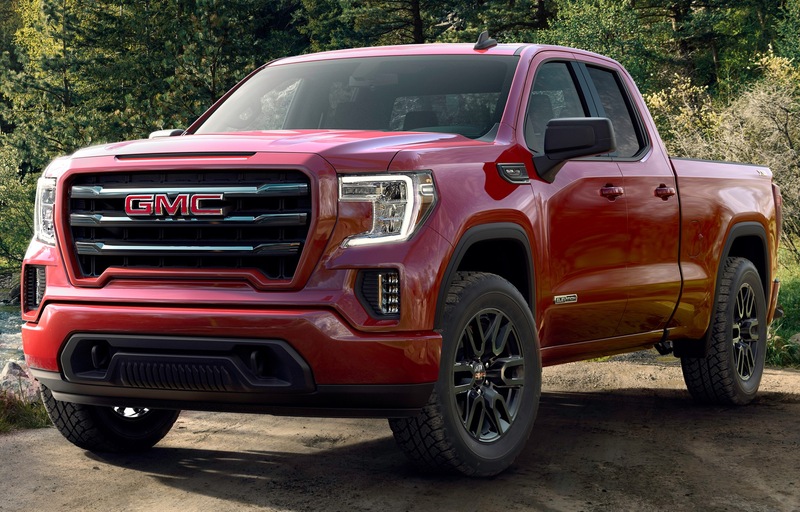 The Sierra Elevation was engineered to get passengers and their gear, such as kayaks, camping equipment, mountain bikes, motorcycles or beyond – where they need to go. 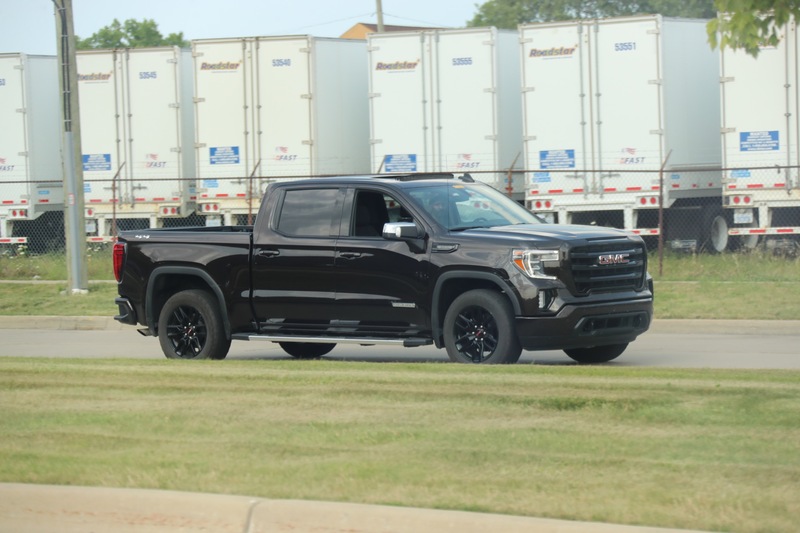 To that end, the model builds on the foundation of the 89.1 cubic feet of best-in-class cargo volume standard with every 2019 Sierra with a standard box. 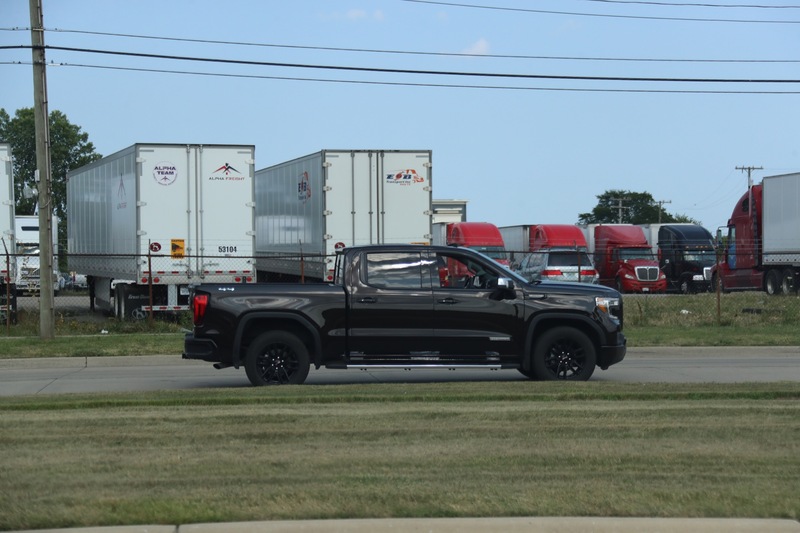 The box features more tie-downs, enhanced cargo lighting and larger cutouts for the CornerStep bumper, making the task of loading and securing gear easier than ever. A 120V outlet in the rear supplies power to equipment needed for a day at the campsite or on the trails. 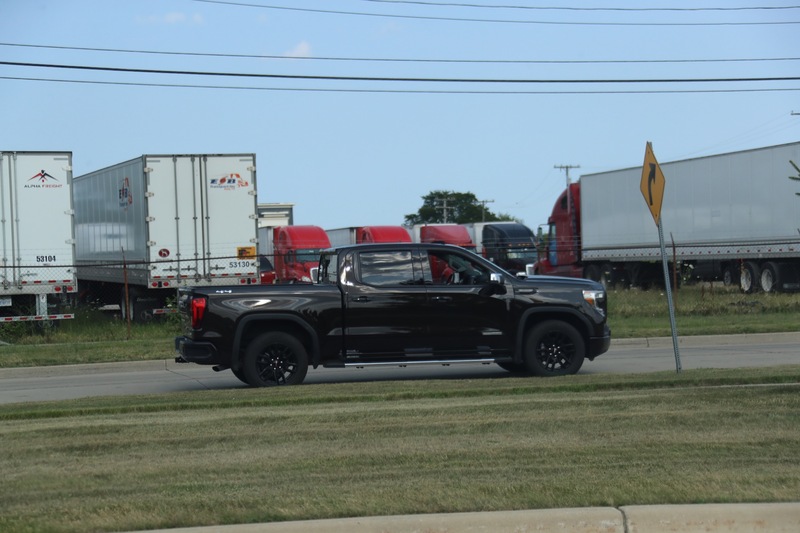 GearOn rails are available as accessories, allowing for bike racks, kayak carriers and other accessories to be installed or adjusted quickly and easily. The rails’ integrated position makes cargo more accessible and frees up space in the rest of the box. 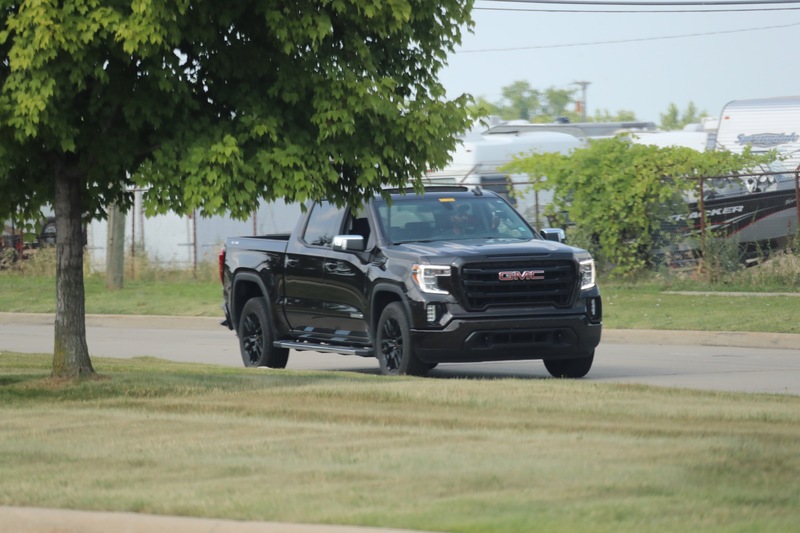 Standard: all-new 2.7-liter turbocharged inline four-cylinder engine (RPO code L3B) paired with an improved eight-speed automatic transmission delivering 310 horsepower and 348 pound-feet of torque. 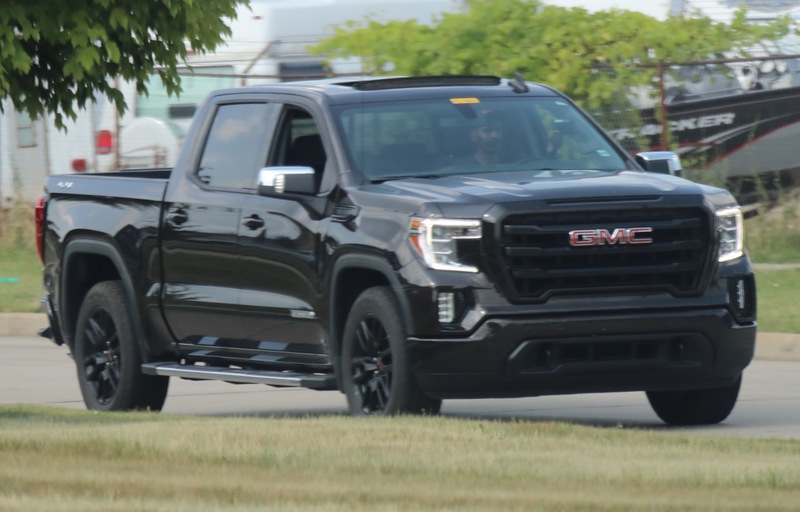 Optional: updated 5.3-liter V-8 EcoTec3 engine (RPO code L84) mated to the same eight-speed automatic transmission delivering 355 horsepower and 383 pound-feet of torque. 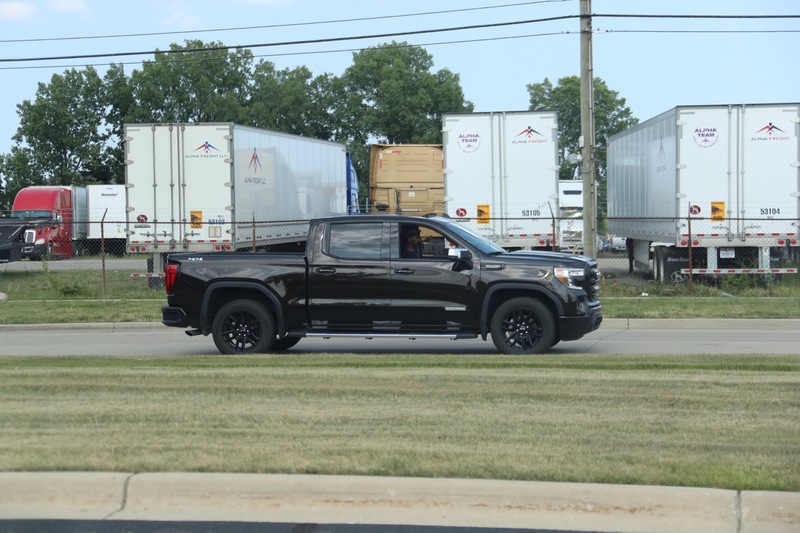 The engine uses a new Dynamic Fuel Management system that enables the engine to operate on one to eight cylinders, depending on demand, to optimize power and efficiency. 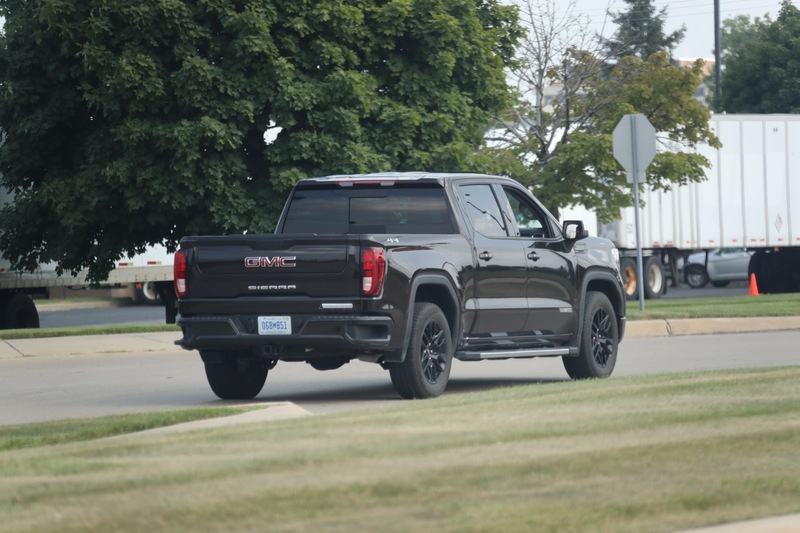 Optional: all-new 3.0-liter Duramax turbo-diesel inline-six-cylinder engine (RPO code LM2) mated to the new GM 10-speed automatic transmission. 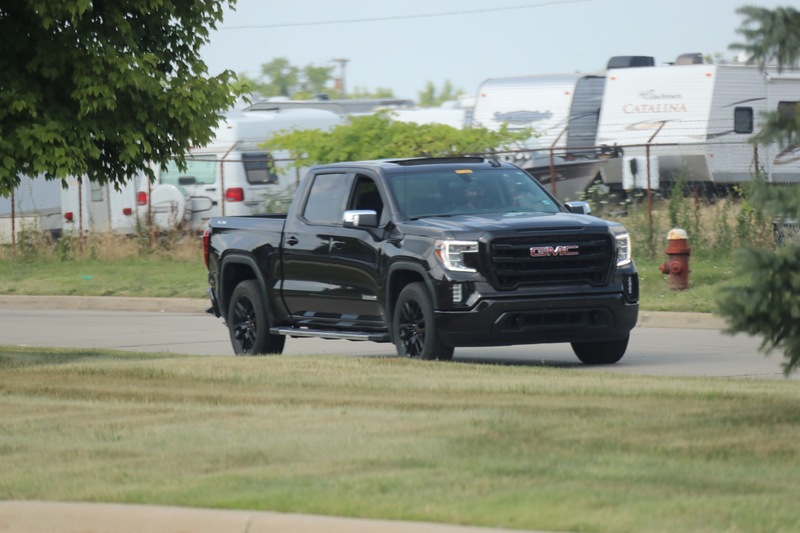 This powertrain combination will become available in early 2019 and power/torque ratings have not yet been released. 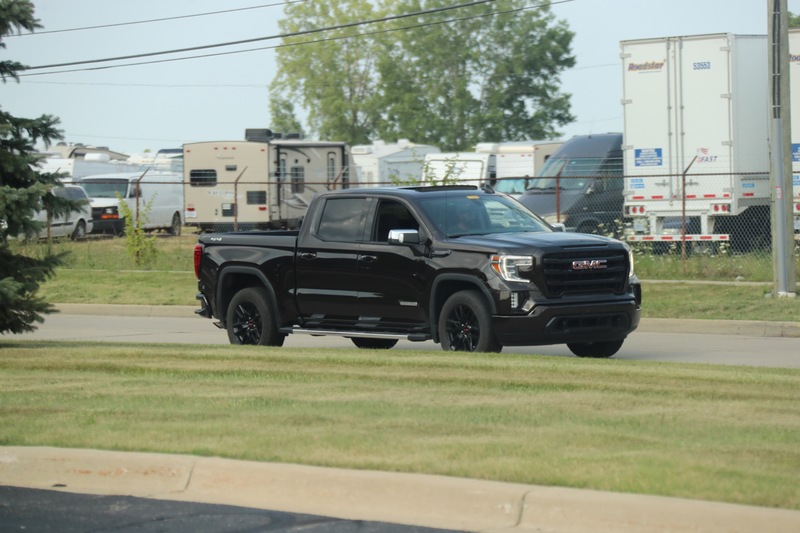 Inside, the 2019 Sierra Elevation features a standard 8-inch diagonal display running the GMC Infotainment System, which incorporates Android Auto and Apple CarPlay compatibility. 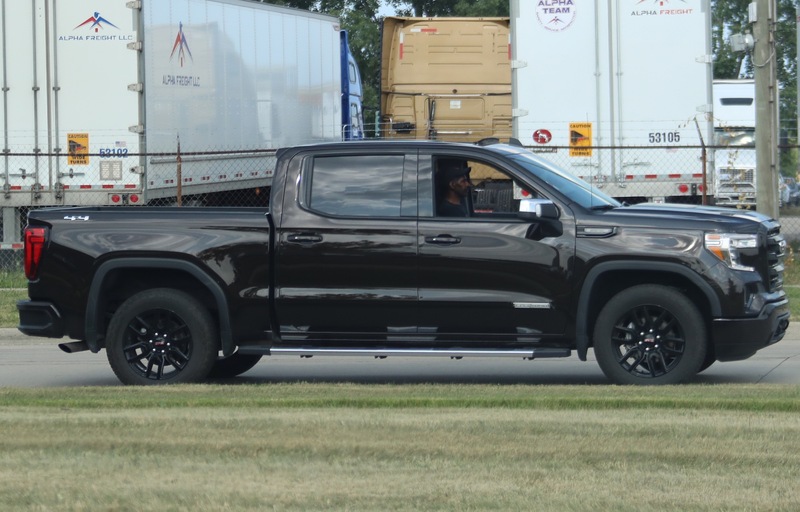 Also standard is a six-speaker audio system. 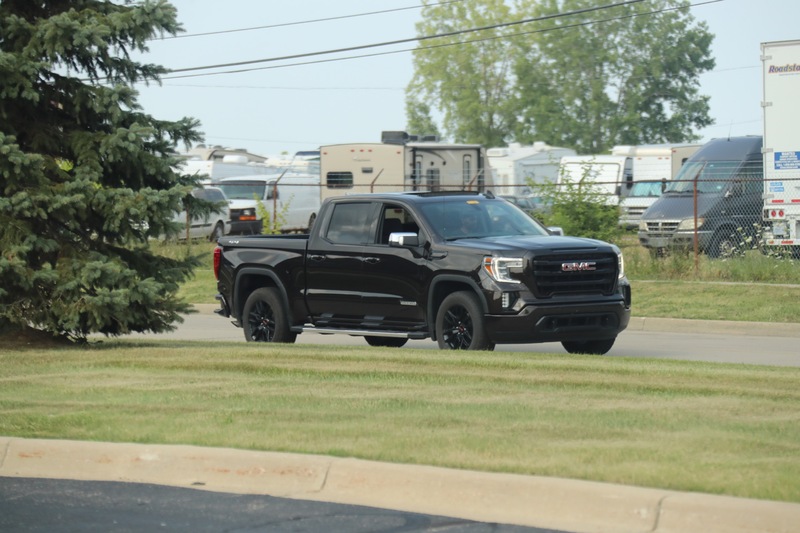 Customers can upgrade to a premium GMC Infotainment System that incorporates a higher resolution touchscreen, advanced personalization features, voice recognition functionality and available in-vehicle apps, along with a 7-speaker Bose premium audio system. USB Type A and Type C ports for charging mobile devices are standard. 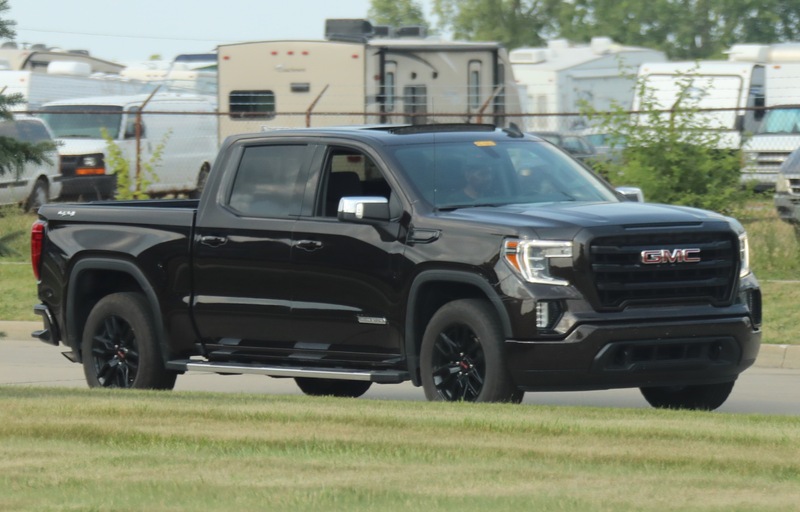 The 2019 GMC Sierra Elevation goes on sale in the fall of 2018. 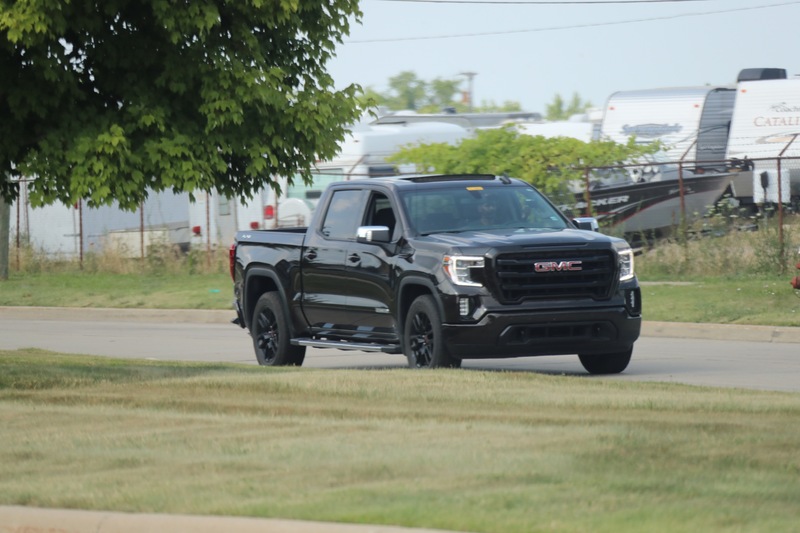 Though 2019 GMC Sierra Elevation prices have not yet been announced, we expect them to be similar to the 2018 model, which carried a starting price of $42,640. 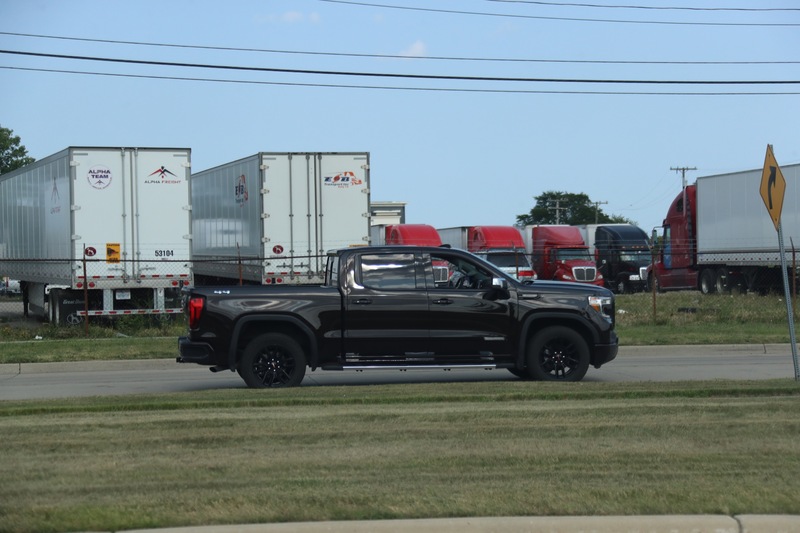 We will update this section when pricing information becomes available.